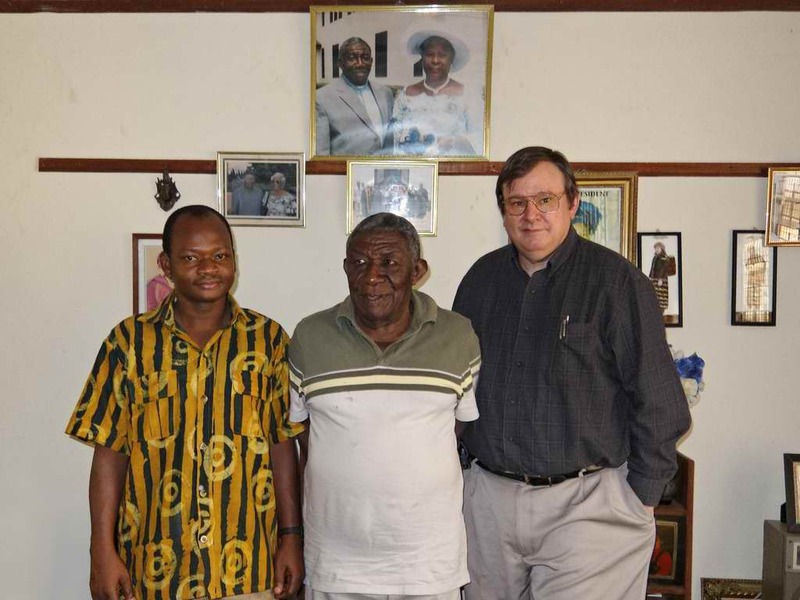 One of my great joys in Ghana is working with Gilbert Ansre (pronounced like haunts-ray without the h). I had heard about him years ago when we worked in Burkina Faso. Now he is one of those people who are supposedly retired, but is always involved in something. And so we persuaded him to lend a hand in developing a plan to finish translations in all the languages of Ghana. There are few people who can bring high level theological and linguistic expertise to the task of Bible translation. Ansre is one of those. Missionary translators often work in remote areas. Their sacrifices for marginalized peoples are laudable. But their focus on remote areas can also cause them to overlook nationals who might champion their work or even contribute to it, such as Gilbert Ansre. An urban one where political power resides and where most educated people live. An idea has emerged in planning to finish the translations in Ghana which I had not expected – join those two worlds together. It turns out that they have a lot to offer each other. The urban environment has expertise, such as Gilbert Ansre, that the rural one needs. But the rural people have important things to offer too. For example, when they read the Bible in their own languages, they develop truly African theologies. By that, I mean theologies that answer their most burning questions. For example, tribal conflict is a problem in some parts of Africa. But Western commentaries and theologies rarely deal with it and never at any length, even though the Old Testament is full of tribal conflict. It turns out that rural African Christians seek answers in the Bible that can enhance the teaching of theology in the urban seminaries. In fact, Gilbert Ansre teaches two such courses. By linking the urban and the rural worlds, we can enrich both and provide a platform for sustaining the use and impact of Bible translation in African languages, all while driving theology where it needs to go – into answering the questions rural and urban Africans really have today. 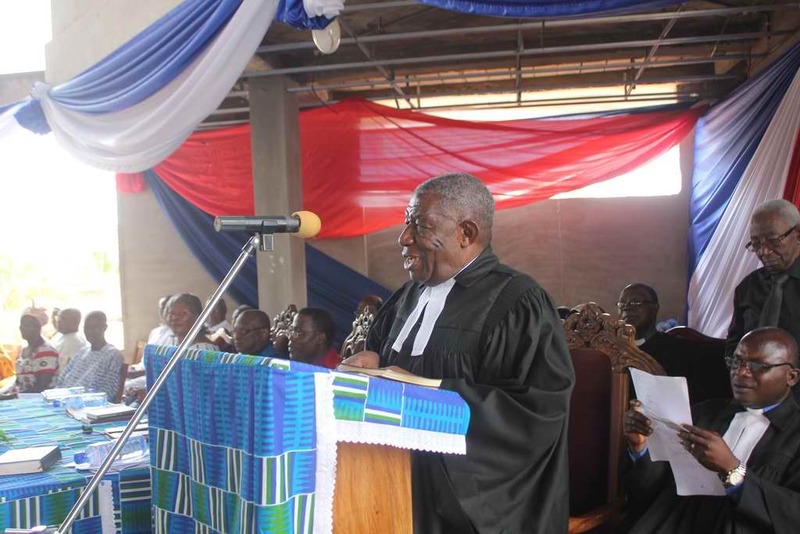 This entry was posted in Bible impact, Bible translation, Faith now, Ghana, Heart language, National translators and tagged Ansre, Gilbert Ansre, linking urban and rural, rural, urban. Bookmark the permalink. Oh, thanks a lot for posting this. I know GILLBT is working with Prof. It’s great to get some glimpse of what it’s all about. I will do that. I already mentioned you to him at least once. Oh Anne, just relax. Prof will not forget you. https://polldaddy.com/js/rating/rating.jsGreat man of God and wonderful blessing to language translation especially the Bible. Congratulations for awards and global contributions to dedication.